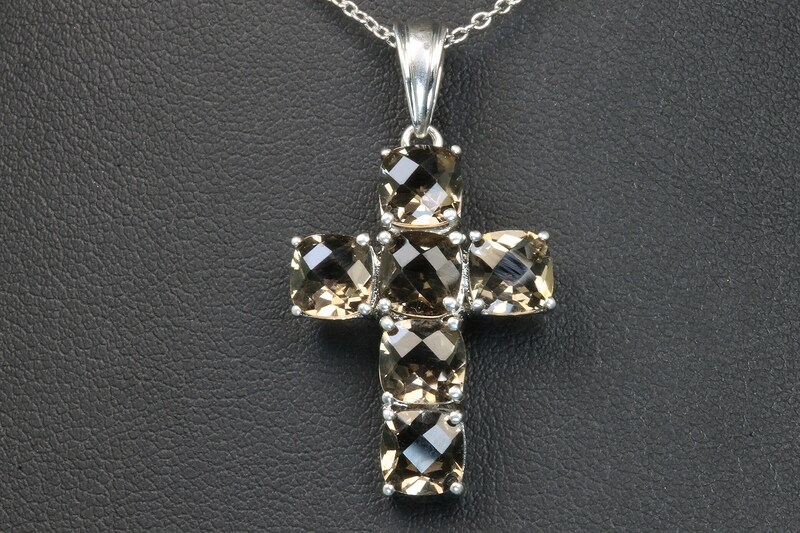 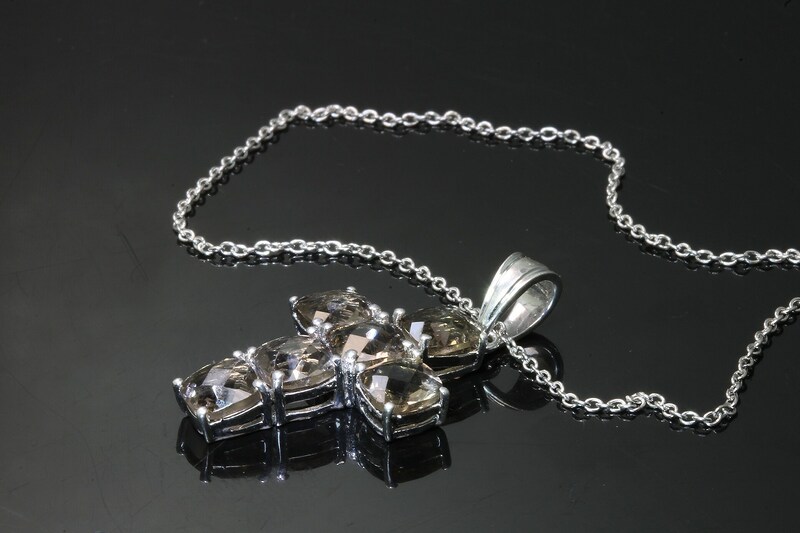 Beautiful (6) 6mm cushion cut smoky quartzes make up this sterling silver cross. 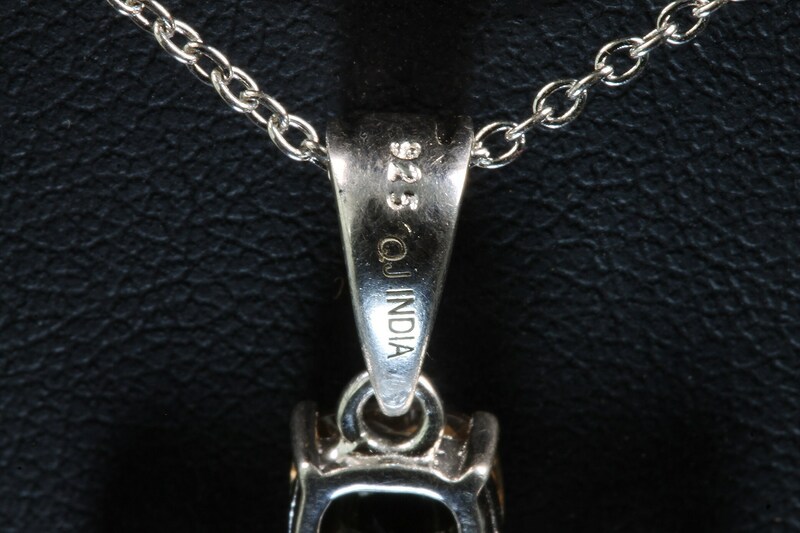 18" sterling silver chain shown included. 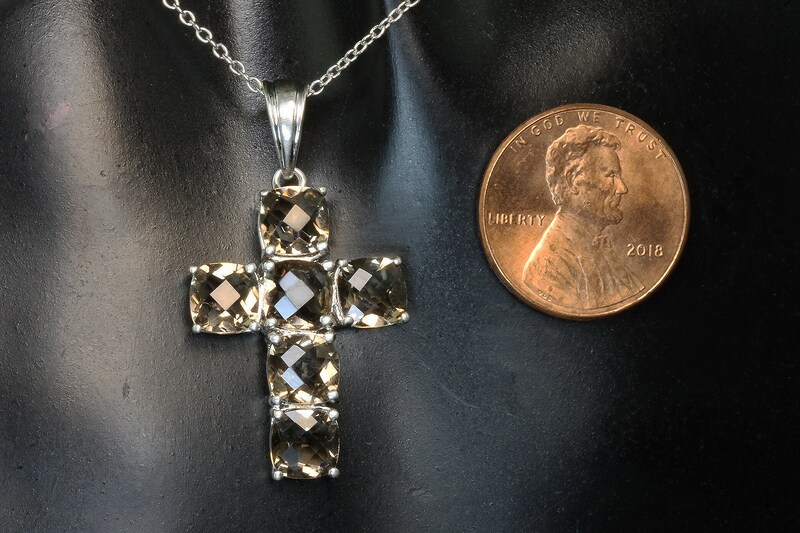 Great spring gift or June's birthstone!